Balderton Capital, a London-based VC firm specialising in early-stage investments, has today announced that Daniel Waterhouse will be joining as a general partner. 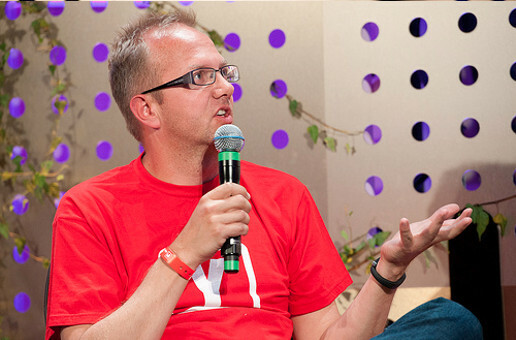 Previously Waterhouse (above), 42, spent five years at Wellington Partners – a pan-European VC with over €800m in funds – and led investments in 11 companies including Hailo, YPlan and Qype (which was sold to Yelp). His portfolio also featured a number of Berlin startups such as Readmill, EyeEm, GameDuell and HowDo. It’s an interesting move for Waterhouse considering his new role at Balderton, which manages about $1.9bn (€1.4bn) in committed venture capital, sounds like it will be incredibly similar to his last position – he will be based in London and help lead early-stage internet and tech investments. Balderton’s porfolio companies hailing from Berlin include social games developer Wooga and now-discontinued search service Archify, reborn as Blippex. According to a press spokeswoman, Balderton has had more $250m+ valuations in the past five years than “any other VC fund this side of the Atlantic”.